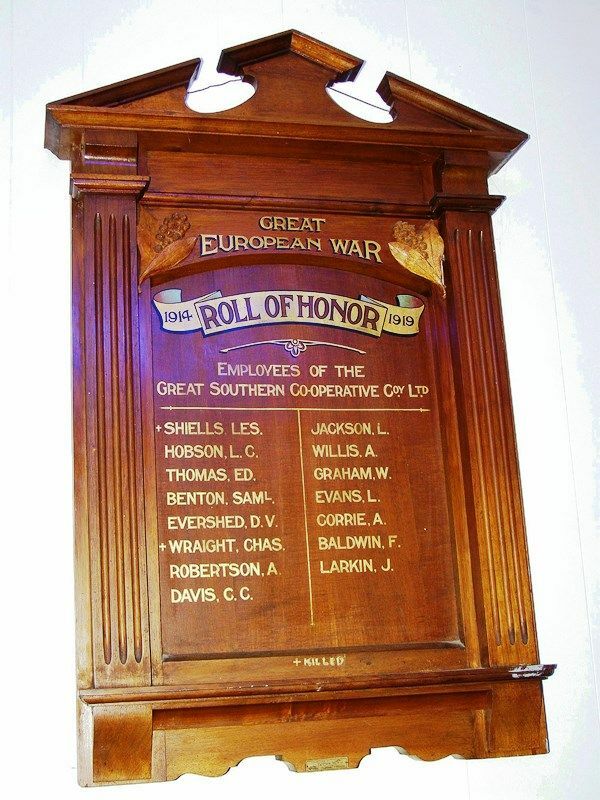 An honour roll commemorates the employees of the Great Southern Co-operative who served in World War One. Great Southern Co-operative Coy. Ltd.